Blush. It’s the barely-there pink that comes in a variety of names and tones, and is becoming increasingly popular among homeowners. The color is feminine, but not overwhelming, and it looks fantastic with copper and gray. Pink in interior design isn’t for everyone, but if this color has caught your eye, here are some of our favorite examples of how to use it throughout your home. We hope they inspire you. 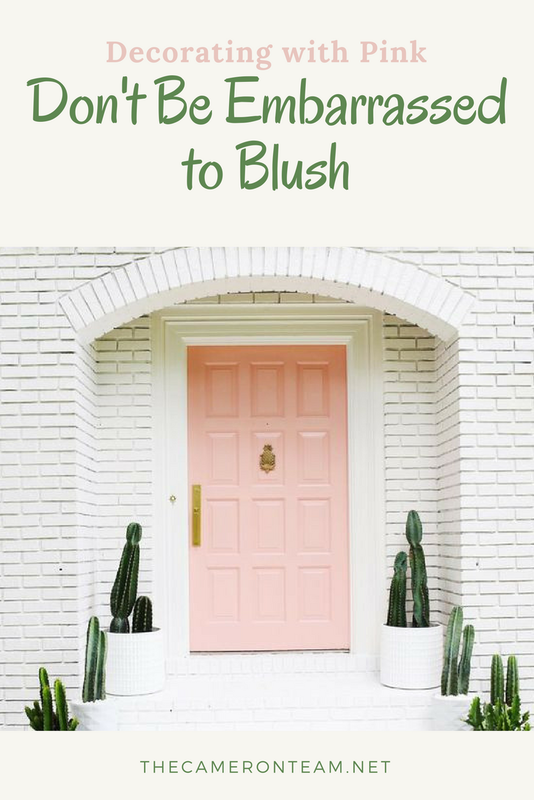 Pulte Homes shared a great color palette for Blush on Pinterest. Make sure you pin it if you’re interested in replicating the Blush look. It has the main color plus some great accents colors to help tone down the pink. The color Blush is a unique choice for a front door. 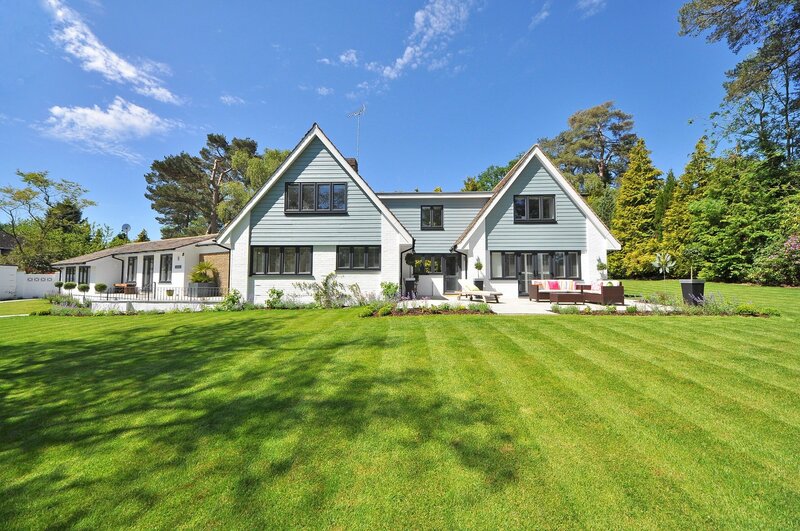 It can be pretty and understated, but works best with light exteriors. 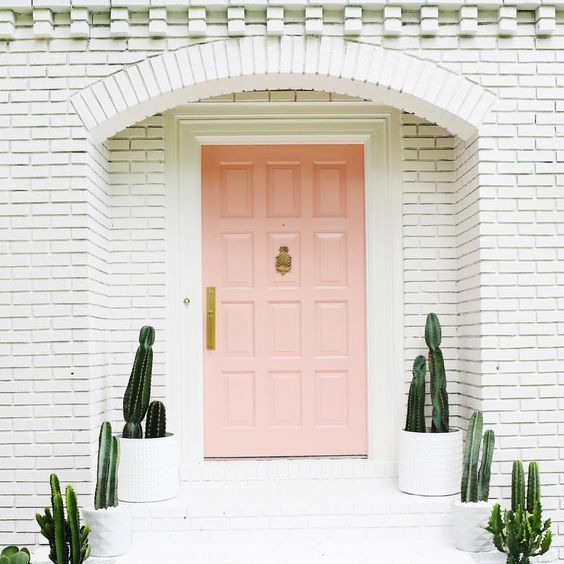 Stucco or white brick may be the best for pairing with a Blush colored entrance. Elsie Larson shared a perfect example of this on her Instagram account. 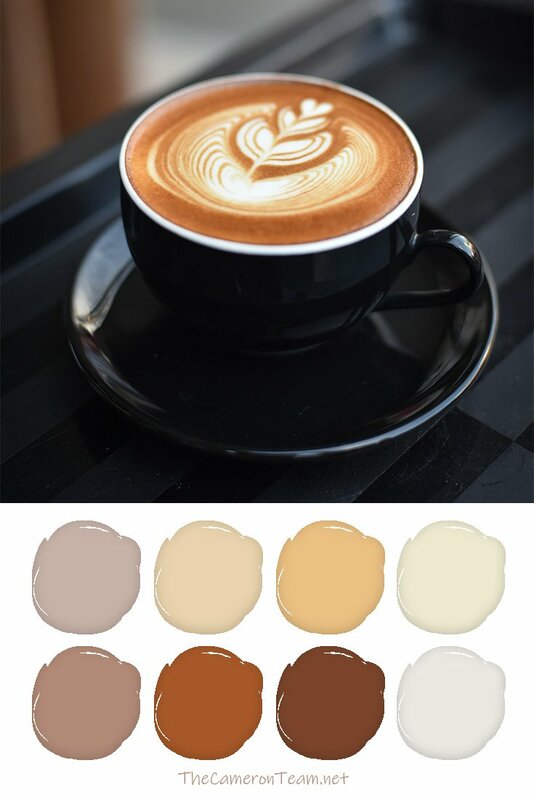 So often, Blush is paired with gray, but there’s also a toasty brown that goes quite well with the pink color. 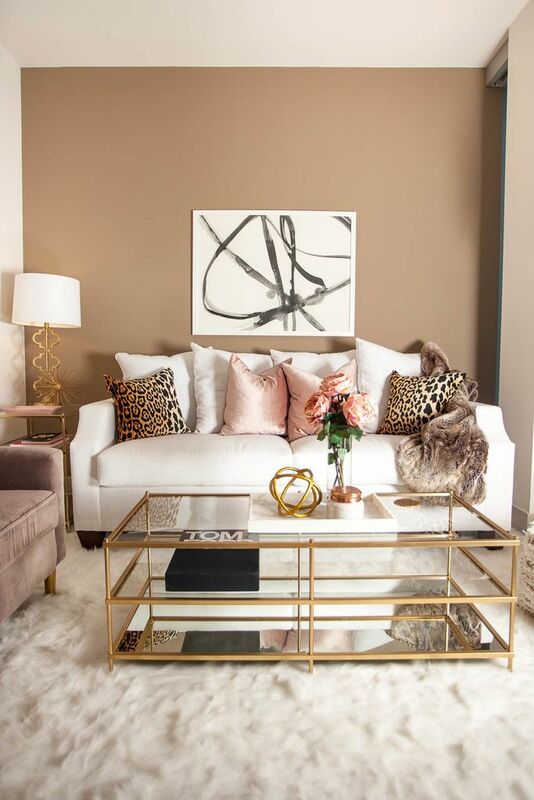 Jessi from The Darling Detail and her designer from Laurel & Wolf did a wonderful job pairing these two colors in her chic living room. It also has a wonderful combination of textures that includes a fluffy rug and metal starburst accent piece. Visit her blog to see the whole room. Early last year, Mandi at Vintage Revivals was asked to overhaul YouTuber Aspyn Ovard’s entryway, living room, and dining room. The home has an open floor plan, so Mandi had to blend the styles of each space. She did this well using Blush as one of the main colors. 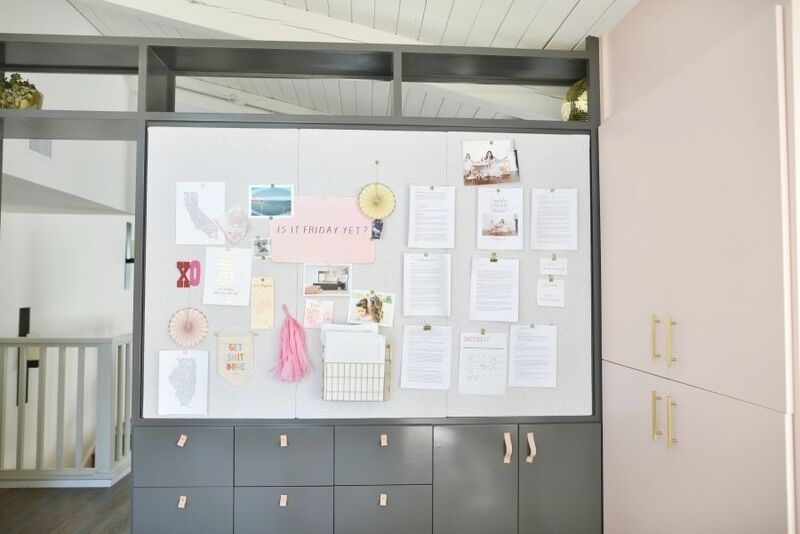 What’s great for readers like you is that she has shared how she did this across multiple blog posts, including tutorials on how to recreate Scandinavian ship lap and the pegboard shelves. Check out the collection on her blog. When styling a dining room with Blush, it’s easy to make it look like a wedding tablescape or overdone French parlor room. The key to keeping it classy is to keep it simple. That’s what 2LG Studio did with this 80s-made-modern dining room. The Blush chairs and curtains are offset by natural wood, gold, and blue living room chairs. Their website has even more pictures. For the right person, Blush can be the perfect color for inspiring creativity. Leslie Bruce is one of those people. When she purchased her most recent home, she had Jette Creative design this lovely blush and gray home office. The room was organized by Life in Jeneral and the pictures are by Emma Feil. Visit Style Me Pretty to see the whole room. Blush can help brighten up a room. 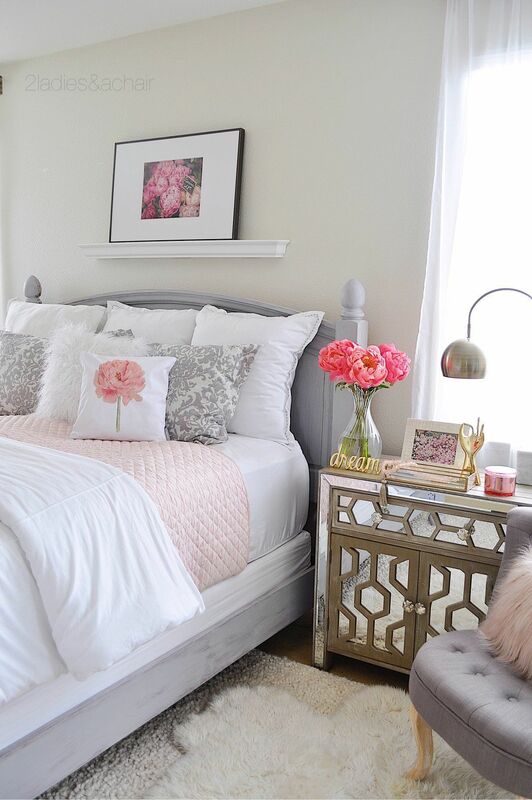 A good example of that is this Blush, gray, and white bedroom from 2 Ladies & a Chair. They took a classic white and gray bedroom and added a pop of color with a Blush colored quilt from Home Goods. A few pink items around the room help to pull it all together. The result is a lovely airy bedroom. Blush is an excellent color for a tween’s room. 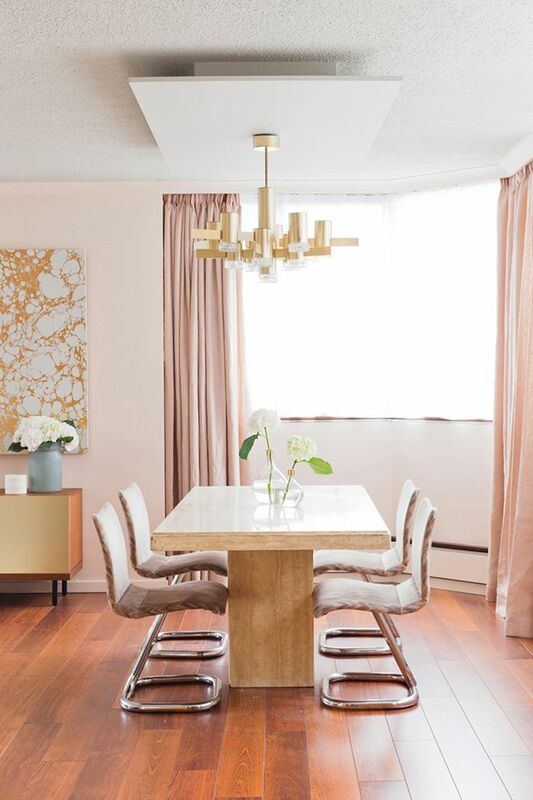 It’s more mature than other pinks and when it’s paired with black and gold, it has a little bit of an edge that tweens and teens are looking for. 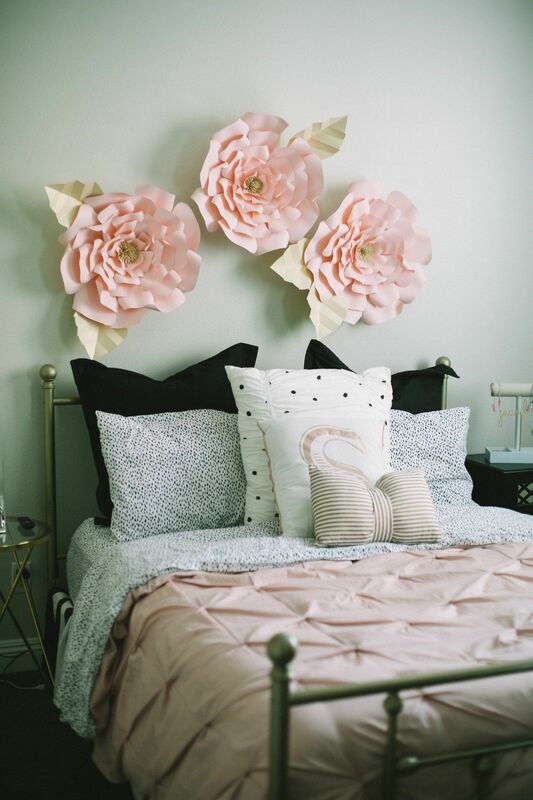 Million Ways to Mother shared this teen/tween room that is a wonderful example for incorporating Blush in a bedroom for the younger generation. The giant flowers on the wall is a fun touch that keeps the room looking young. Visit their website for more pictures. Blush can be far too feminine for those who pride themselves in their masculinity. When such a person has a say in the household’s décor, it can be downright hard to get them to agree to the color. 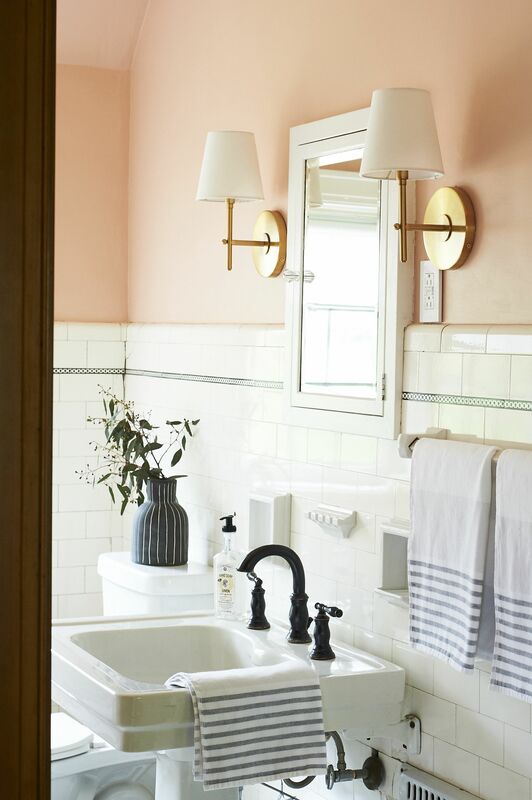 This bathroom from Emily at The Sweet Beast Blog is a good example of a compromise. 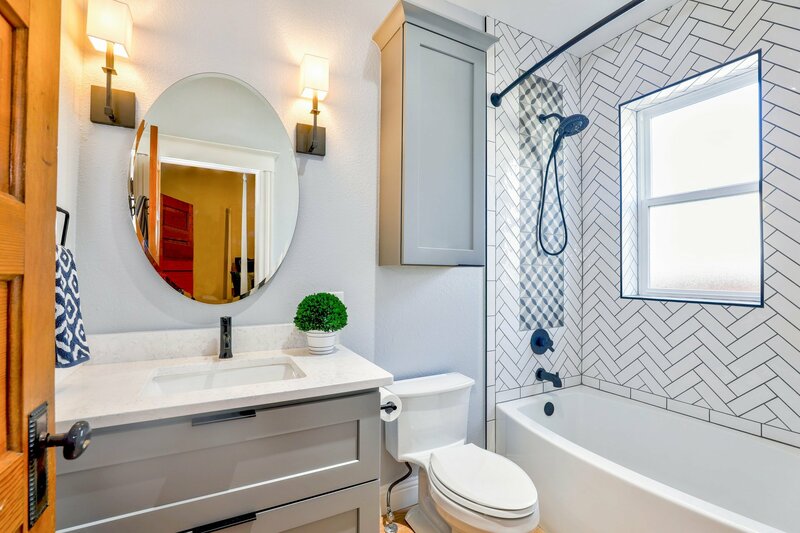 The wall paint clearly has pink tones – conch or Blush – but still feels a bit masculine due to the accent black, tile and fabric patterns, and natural wood. See more pictures of the room on her blog. Who actually likes to do laundry? 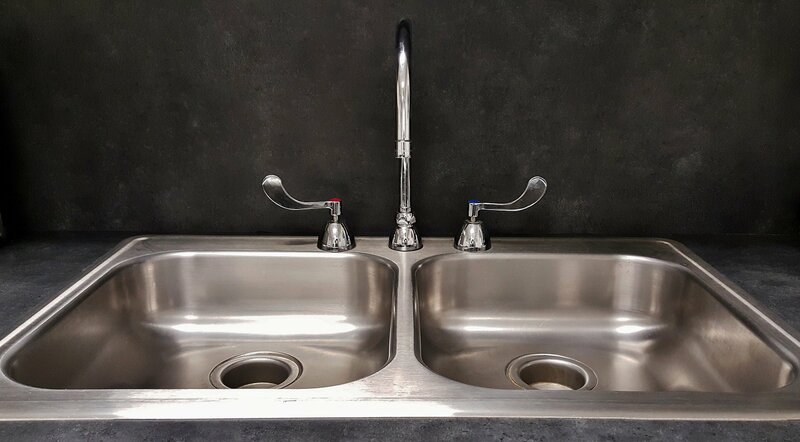 Well, the key to making it a more pleasant experience is having a pleasing place to do it, like a well designed laundry room. 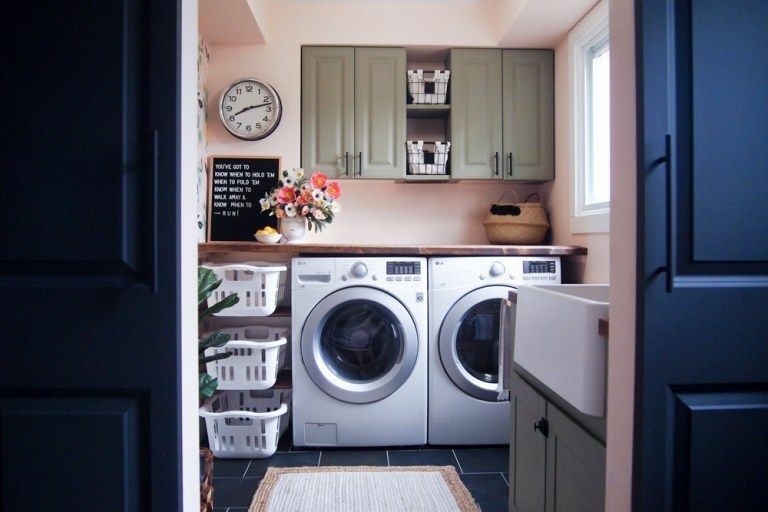 Thalita at The Learner Observer completed a one-room challenge on her laundry room, which resulted in this vintage-looking design with Blush wall paint and lichen colored cabinets. Want the same look? 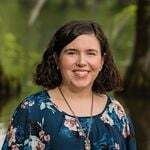 She has more pictures and everything she used on her blog. Mudrooms aren’t usually a focal point of home, but they can set the mood. 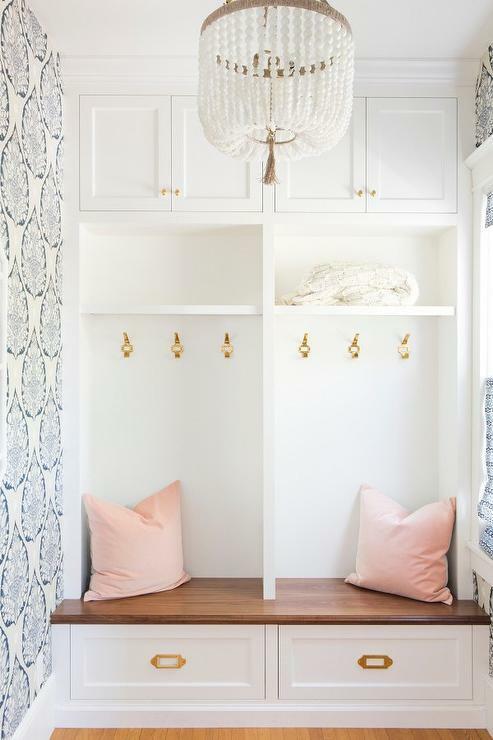 Megan Bachmann from Megan Bachmann Interiors added Blush colored pillows to this mud room entrance and created a cheery setting. See more examples of her work on her website. 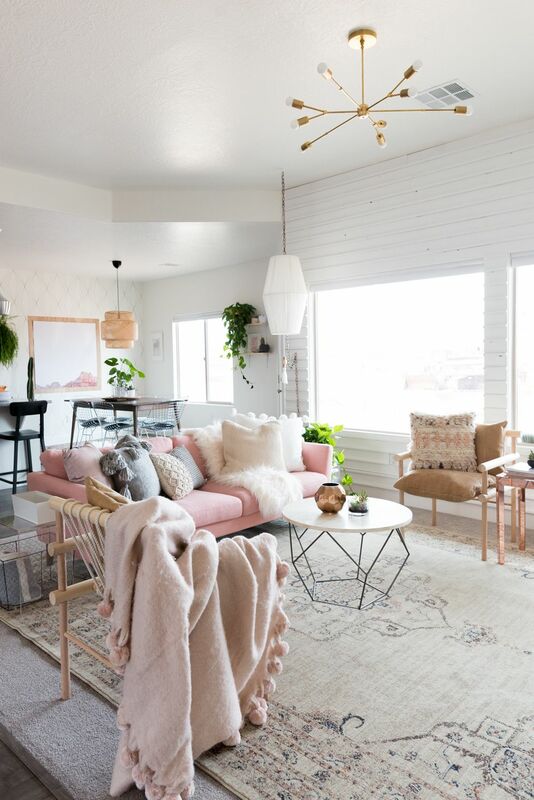 If the idea of decorating with Blush is leaving you hesitant, consider using Blush as a background color like Mallory at Confetti & Stripes. 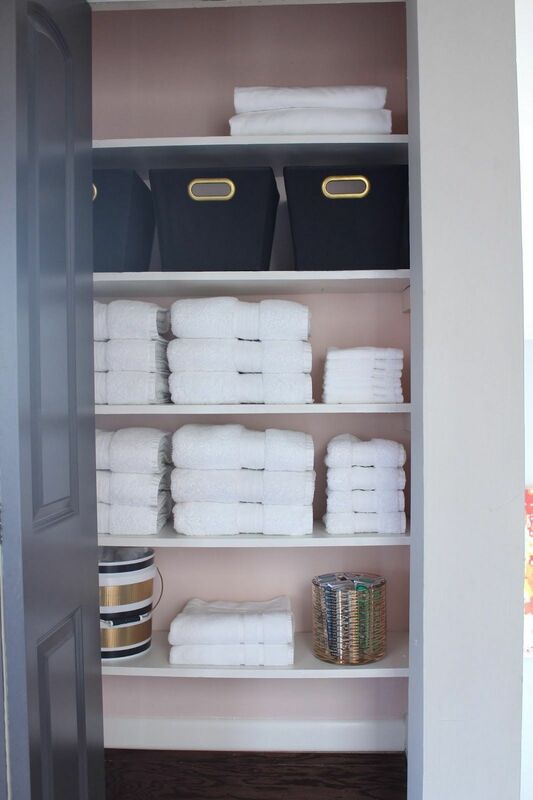 She wanted to give her linen closet a makeover, so she painted the walls Blush. She kept the shelves white, which created a neat contrast. That, combined with the items she’s storing on the shelves, prevent the pink from becoming overwhelming. You may want to consider doing this in other areas of the house, like bookshelves in a living room, office, or bedroom. Do you have a good example of how to use Blush in decorating? We welcome you to share it in the comments.